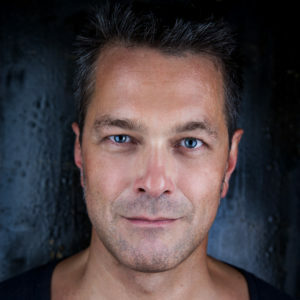 and Christopher-Fares Köhler (Artistic Consultant). The Gorki Theater focuses on conflicts of a diverse society with attention to themes like migration, queerness, refuge, exile, and feminism. They ask: “What is the place of theatre in a society in transition? What work should theatre artists, faced with a permanent crisis in economy and politics, produce to reflect the severe social and cultural conflicts in our societies on the stage?” Join us to learn more about the unique and groundbreaking vision of one of the important theatres of the City of Berlin. Jens Hillje studied applied arts in Italy and Germany he moved to Berlin in 1996. Together with the director Thomas Ostermeier, founded the “Barracks” venue at the Deutsches Theatre, which was voted Theatre of the Year two years later. During his tenure as artistic co-director, the Maxim Gorki Theatre has been voted “Theatre of the Year” twice (2014 and 2016). The Preußische Seehandlung Foundation awarded him the Theaterpreis Berlin (Theatre Award Berlin) 2016 alongside Shermin Langhoff. In 2019 Hillje receives the Golden Lion at the Venice Biennale honoring his lifetime achievements. 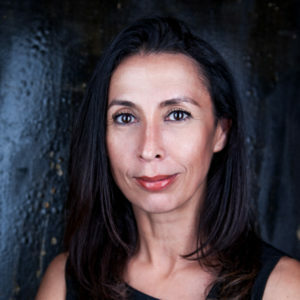 Shermin Langhoff, artistic director of the Maxim Gorki Theatre since 2013, began her professional life in publishing, film and television and then worked as a curator at Berlin’s Hebbel am Ufer (HAU). During her tenure as artistic director, the Maxim Gorki Theatre has been voted “Theatre of the Year” twice (2014 and 2016). Shermin Langhoff is a recipient of the Bundesverdienstkreuz (Order of Merit of the Federal Republic of Germany) and was presented In 2016 she was presented with the prestigious Theatre Prize Berlin. 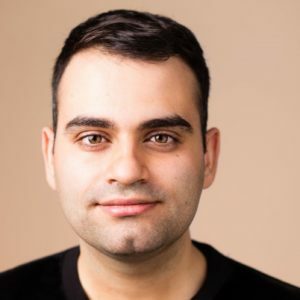 Christopher-Fares Köhler, born in 1987, he was Falk Richter’s assistant dramaturge for productions such as Small Town Boy at the Maxim Gorki Theater Berlin and to Rimini Protokoll at Theater Oberhausen. He worked for the dramaturgy department at the Münchner Kammerspiele, Theater der Welt Festival 2017 in Hamburg, for the Zürcher Theaterpektakel, the Theater an der Ruhr, the Boat People Project, the Volksbühne Berlin, Münchner Kammerspiele and others. Since May 2018 he has been a dramaturge of the Exil Ensemble at the Maxim Gorki Theater and artistic assistant to the co-director Jens Hillje.